One day something happens. It can be something mundane, or something traumatic. One can never tell. But it’s something targeted, like a laser beam aimed at a switch inside your brain. And there’s a sudden click and then the silence that always comes with complete, unadulterated clarity. For someone who used project management to sort out the chaos of her love life, for someone who successfully took control of her problem, found what she was looking for and wrote a book about it, I was surprised to find myself two years later with shackles around my neck. Shackles I volunteered to install and then blamed circumstances outside of my control for the pathetic situation I found myself in. Wondering how I got there. I got there because I gave away my personal power. I started to see myself as weak, powerless and incompetent. I blamed others for how I felt about myself, I blamed lack of time, lack of money and lack of energy for everything I did or didn’t do. Life wasn’t playing ball with me. It wanted me to grow up and I refused. It wanted me to flow with it and I wasn’t having any of it. From inner and outer conflict came self-victimsation. And the more I identified myself as such, the less I did about it. Until one day when things got bad. Just like that final humiliation in love that triggered The Love Project, I found myself hitting the rock bottom of my self-esteem. I spent a whole day crying because when I looked in the mirror in the morning I didn’t like who I saw anymore. I didn’t know what to do about it so I asked for help. I asked for guidance, I asked a higher power to show me the way. Help came in many shapes. From the friend who consoled me and told me I was amazing, and talented and capable of great things, to the friend who sent me the right book to read. From the connection I made on Twitter who gave me experienced-based advice to the expert I interviewed on my podcast. Help came my way and I received it all with gratitude. And then I built myself back, little by little. Even thought it felt like I will never see the light again, I did my bit every day. I improved my attitude at work and soon enough things became easier. I went to the gym more. I tried to eat and drink better and to limit the amount of sugar and alcohol I put into my body (which is hard when there’s a birthday cake at work every week). I reconnected with myself and slowly I remembered that I am capable to do anything I put my mind to. That I have the right to ask for everything that I truly desire. That I am powerful. If you ever felt like that, I hope you’ve been gentle with yourself because we all, no matter the age, race, income, experience or spiritual level, we all get lost sometimes. And I hope you remembered that powerlessness is only a temporary notion, no matter who is trying to convince us otherwise. 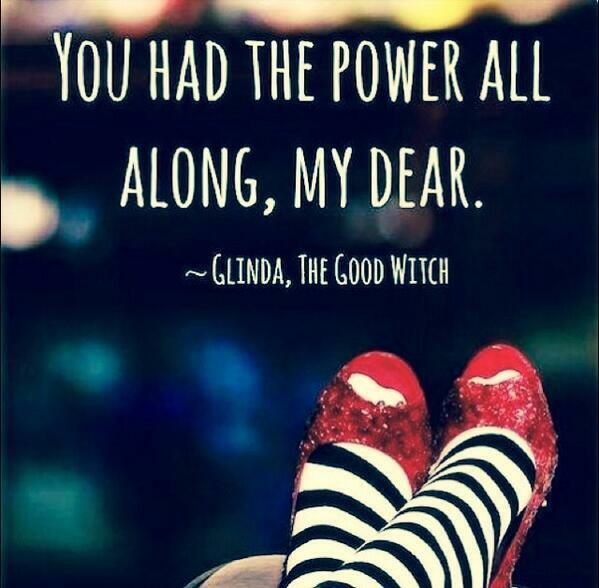 Our personal power never leaves us, it just waits patiently for us to claim it and to take action. Little step by little step at the time.